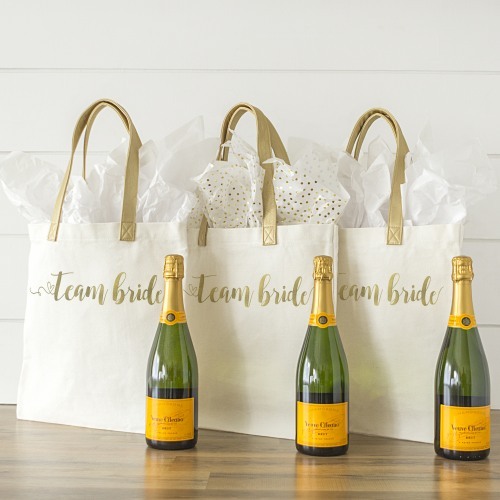 This bridal party tote bag makes the perfect accessory for the big day. Made of durable canvas and faux leather handles, this tote features "bride" written across the front and is perfect for holding hair accessories, an extra change of clothes, snacks, or any other wedding day essentials. This bag also pairs perfectly with our bridal party pouch.